2) that strategy doesn’t work and indeed is actually counterproductive! These myths are so deeply ingrained in the environmental and progressive political community that when we finally had a serious shot at a climate bill, the powers that be — led by team Obama! — decided not to focus on the threat posed by climate change in any serious fashion in their $200 million communications effort (see “Can you solve global warming without talking about global warming?“). The warnings were clear and now its happened: bending over backwards with carbon tax compensation to appease Australia's dirtiest electricity generators, the Gillard government has handed big coal billions in windfall profits, whilst consumers are effectively paying twice for the carbon price. Anybody with any sense — from Professor Ross Garnaut to The Greens — warned two years ago that Labor's carbon tax package was far too generous in compensating Australia's dirtiest, brown-coal-fired power stations in Victoria and that, rather than providing reasons for them to be phased out, the package would perversely provides financial incentives to keep generating dirty power even longer. And now the damning evidence is in. OK, some personal questions to start… Who’s got a BMI of over 30? What about a tattoo completely covering just one arm – come on I know you’re out there... People are a bit shy... Let’s try an easier one… Who’s got a Facebook account, or has tweeted or felt the need to follow someone who does. Congratulations – you’re part of rapid social change. Not so long ago, very few of us would have answered ‘yes’ to any of those questions. Now, maybe you signed up to Facebook hoping to stalk your high school sweetheart; or got that tattoo fearing you might not fit in without it at the nursing home later in life. But, I’m guessing fear and optimism played little role. Yet, here we are debating which is the stronger driver of rapid social change. Fear, optimism and activism: What drives change? It's a fair bet that my Brightsiding series in 2012 was responsible for the topic at this year's Melbourne Sustainability Festival Great Debate held last Friday: "Fear is stronger than optimism in creating rapid social change". So six of us lined up, not in teams, but with clear instructions to take one side or the other and not fence-sit (more of this later). The participants were Bob Brown, Jon Dee, Fiona Sharkie, David Spratt, Guy Pearse and Tanya Ha, and the debate host was ABC TV's Bernie Hobbs. 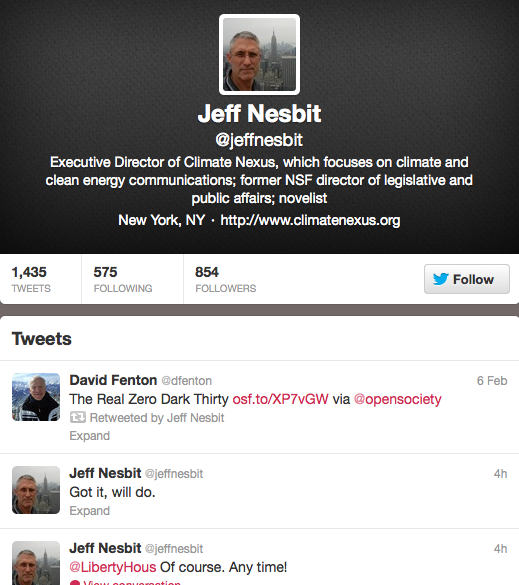 Jeff Nesbitt (@jeffnesbit), the Executive Director of Climate Nexus, shows how powerful a tool Twitter can be in communicating the global warming story. Do we need a Plan B for the fossil fuel industry? As Giles Parkinson notes today in RenewEconomy: "The analysis by BNEF is significant. Australia relies more on coal than nearly any other industrialised country, but it also has some of the world’s best renewables resources, which it has been slow to exploit. But is this likely to prompt a review of the Coalition’s energy policies – which are based on the premise that renewable energy is expensive and unreliable? Don’t bet on it." 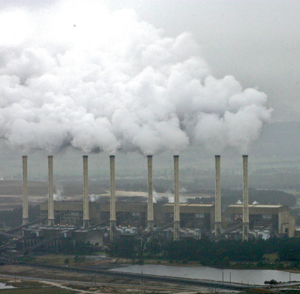 [Bloomberg, 7 February 2013]: Sydney, 7 February 2013 – Unsubsidised renewable energy is now cheaper than electricity from new-build coal- and gas-fired power stations in Australia, according to new analysis from research firm Bloomberg New Energy Finance. Last week, Greenpeace released a report calling for a halt to Australia’s burgeoning coal exports and pointing to the catastrophic climate impacts they would cause. 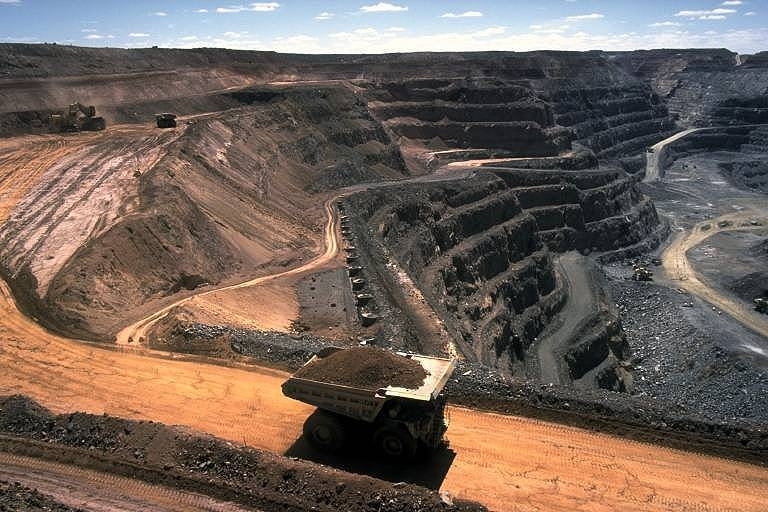 In response, Mitch Hooke, chief executive of the Minerals Council of Australia, took a standard industry line: “the proposal to stop Australian coal exports won’t stop global coal use – it will just send Australian jobs offshore and deprive state and federal governments of billions in revenue”. Arguments that the strength of the Australian economy is heavily dependent on digging up and shipping out as much coal as possible, as quickly as possible, are common. 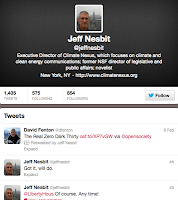 Of course, they also imply that economic arguments trump any concerns about contributions to climate change.